It seems 'pink' is this week's official source of inspiration (I even did my nails in the sweet pink palette). I am no barbie-like girl and there is room in my closet for every and any color . . . but I am a girl, and I have to confess that lately I've been rediscovering the charm of the soft, sweet pink shades! 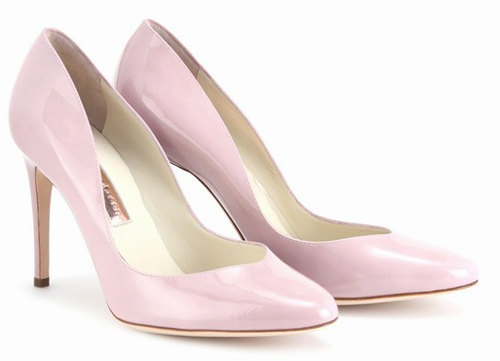 Oh, and this lovely pair of Rupert Sanderson "Winona" patent leather pumps just proves my point . . . feminine, charming, soft, sophisticated . . . how can you say no to that!? See more view after the break . . .